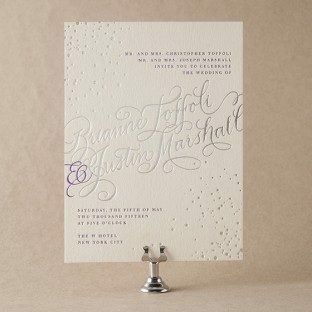 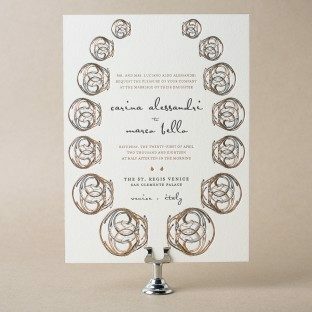 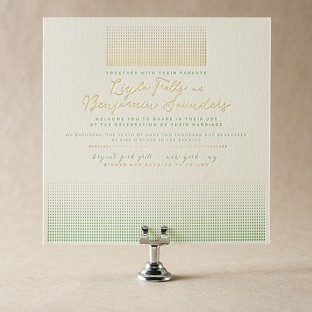 Graphic retro wedding style comes to life with Modern Revelry, a simple and modern letterpress wedding invitation from Racheal Bumbolo. 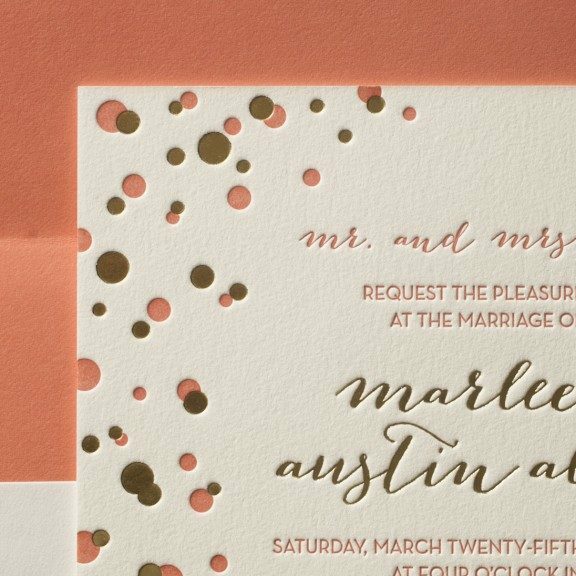 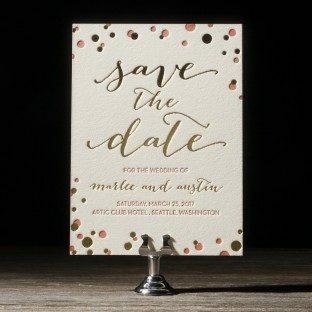 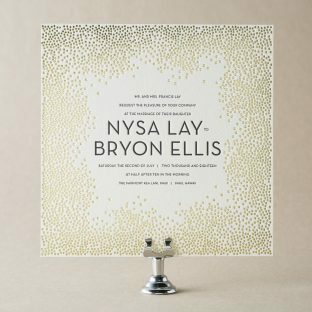 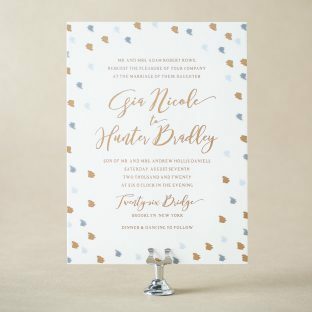 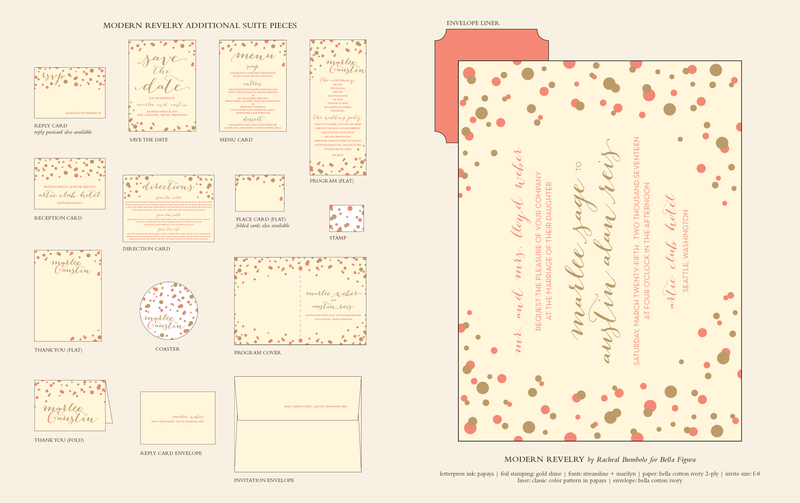 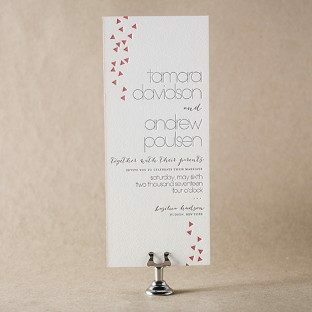 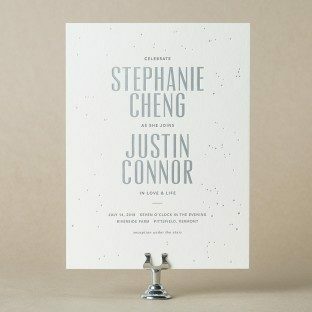 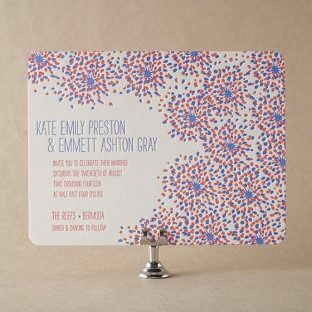 With funky colors and contemporary lines, these wedding invitations are the letterpress cool your wedding is dreaming of. 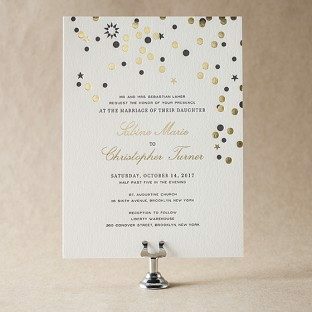 View additional pieces in the Modern Revelry sample suite. 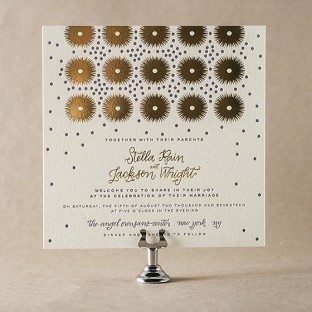 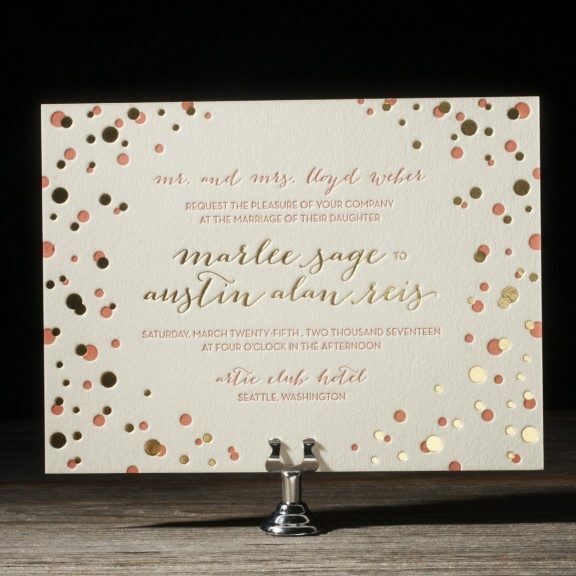 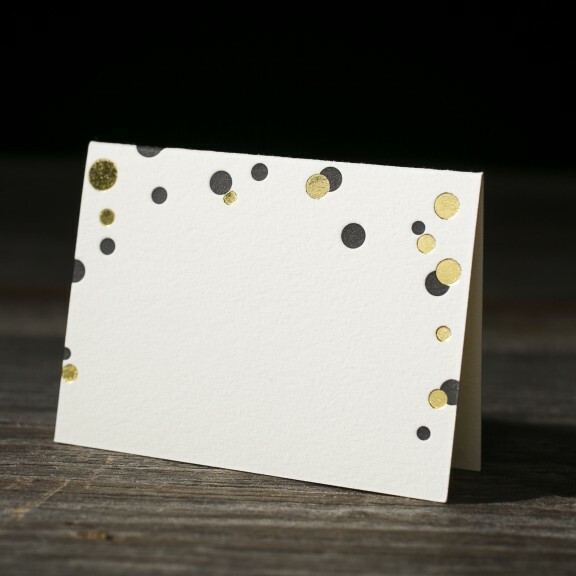 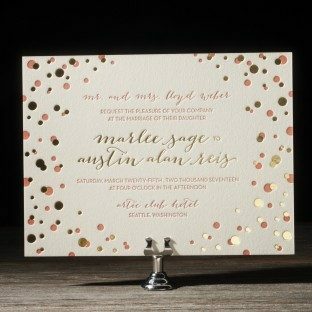 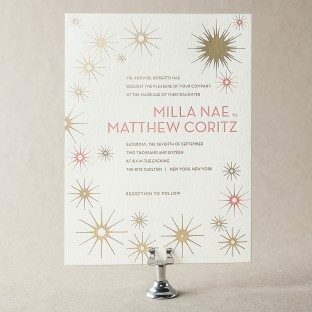 Direct your guests to their seats with these fun and festive Modern Revelry place cards, shown here in Black letterpress ink and Gold Shine foil on our ivory Bella Cotton paper.